Banning Alcohol Ads on City Property! The Los Angeles City Council on January 20, 2015 voted YES in favor of the ordinance to ban alcohol ads on city owned and controlled property to protect youth from overexposure to alcohol ads. On June 3rd the Los Angeles City Council voted unanimously in favor of a motion banning alcohol ads in future bureau of street services contracts, such as bus shelters, where youth daily congregate to take the bus to school. Watch the City Council approve the motion asking the city attorney to draft the ordinance. The L.A. City Council Budget and Finance Committee unanimously voted in support of banning alcohol ads on future bureau of street services contracts. 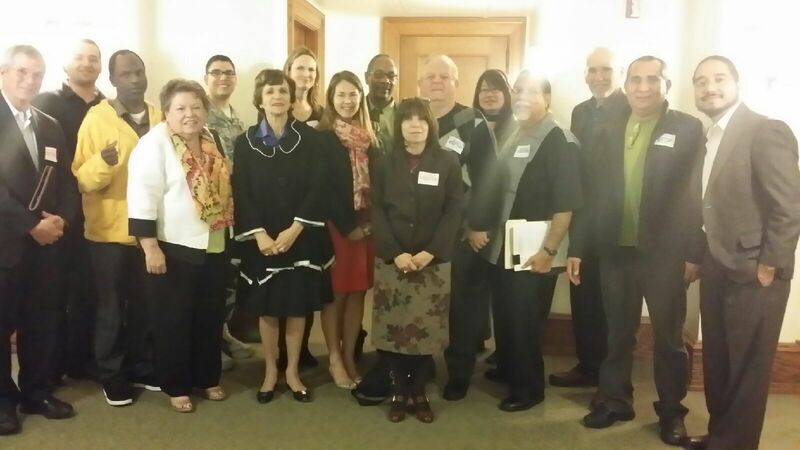 We had the honor of having Kitty Dukakis, former Massachusetts First Lady, testify in support. She participated in a campaign that successfully banned alcohol ads on the Boston transit system. “Money should never be part of this discussion. It is very dangerous. Family waiting for a bus in Los Angeles. In 2011, with your help, we banned alcohol ads from 6,000 bus benches in the City of Los Angeles. Now let’s ban alcohol ads completely from all Los Angeles public property. It’s time to mobilize, and organize to protect our children from “city-authorized” alcohol ads! We can’t control all liquor and beer ads, but protecting kids from advertising on our city streets is important. We can put a stop to all city contracts that allow beer, wine and spirits ads in the City of Los Angeles. The connection between youth exposure to alcohol ads and underage drinking is well documented. Quite simply, the more ads kids see, the more likely they are to drink, and to drink to excess. We are asking the Los Angeles City Council to adopt an ordinance prohibiting any city contract from allowing alcohol advertisement on public property. Let’s mobilize, organize to protect our children from city-authorized alcohol ads!